The holidays are a busy time for everyone, nonprofit organizations included! Hosting large service projects takes a lot of manpower for organizations, so if you’re having trouble finding a project to join in on, why not start your own at home? Here’s some inspiration for ways to serve from the comfort of your home! If you do a project, we’d love to see and share it! If you post to social media, tag @userveutah to spread your cheer even further and inspire others! Host a toy drive! Collect new and gently used toys to donate! Shelters, centers for women and children in crisis, and other local organizations could use toys during the holidays, and throughout the year! Host a holiday clothes drive! Now is the perfect time to gather and donate warm clothing! Coats, hats, gloves, and scarves are all needed! Host a holiday baking party! Baking holiday treats is a beloved tradition, and can be used to spread cheer! You can donate the treats to those in need, or have a bake sale and donate the raised funds to an organization you support! Make a mitten tree! Instead of traditional decorations, try to cover a tree in mittens! 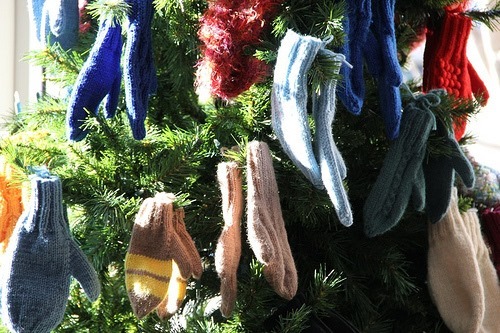 Gather friends, family, or coworkers to join in, and donate the collected mittens. Host a food drive! 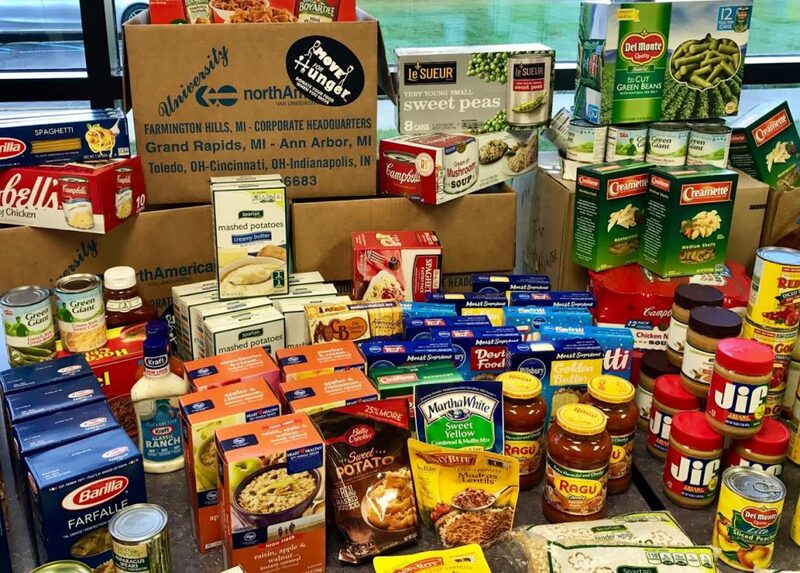 Food banks are always in need of non-perishable items to fill their shelves! Are you naturally competitive? Gather a few families or fellow employees, and see who can gather the most food items! Host a book drive! Give the gift of reading to those in need! Gather books, and donate them to your local shelter! Start a donation jar! Decorate a jar, or any other fun container, to collect loose change throughout the upcoming year. Donate the collected change to an organization you support in your community! Have more ideas? Are we missing something? Let us know! Contact sdorsey@utah.gov to add to our list! If you want to find a volunteer project in your area, head to JustServe.org!